There are numerous reasons for roof replacement including refurbishment and repairs. However, most people only replace their roofs whenever there is a problem (like roof leaking or ceiling leaking) that cannot be solved by repair. In case you are seeking to replace your roof as a result of a hitch, it is always important that you carefully choose the right roofing materials and, also know how the procedure should be conducted for success. Instead of going through all the hassles, you should simply hire a roof replacement expert for the job. Waterproofing Singapore are the roof replacement professionals that can deliver quality workmanship at your convenience. We have many years’ experience in the industry to ensure that your roof is replaced to standard, and using the best waterproofing materials, and membrane system which are eco-friendly and long lasting. In every roof replacement project, we strive to provide tailor-made solutions that will enable you to easily avoid a recurrence of the problems being experienced on your roof in the future. Asphalt shingles are manufactured from asphalt and, usually come in either organic or fiberglass. The shingles are offered in a wide range of color schemes, sizes and styles to choose from based on your needs. Asphalt shingles are more economical, with greater energy saving features. But, they are only great for use on sloppy roofs. The most common colors and styles of asphalt shingles that include, charcoal, barkwood, slate and weathered wood. Compared to organic asphalt shingles, fiberglass asphalt shingles are more affordable, fire and UV rays-resistant, light in weight and, long lasting. Fiberglass asphalt shingles are made from mineral fillers, which enable them to also withstand water intrusion. Originally, organic asphalt shingles were made from recycled papers, cardboards, wood chips and rags. Although they are not as durable and light weight as fiberglass asphalt shingles, organic asphalt shingles are also waterproof and affordable. If you are considering using organic asphalt shingles, keep in mind they are not usually great in humid areas or places that experience very low temperatures. Other options that you can also consider when planning to use asphalt shingles are the architectural and three-tab shingles. If installed right, asphalt shingles can last for about 20 to 30 years, without regular maintenance. Tile shingles are very stylish, making them a great option for those who need to enhance the aesthetics of their property. Tile shingles are offered in a variety of shapes and, light color schemes to bring out a unique touch of style. Although they are considered relatively costly, they usually have a longer lifespan of up to 80 years. Besides, it should also be noted that tile shingles are heavier than asphalt shingles. This means, replacing them with asphalt shingles will require the roofing frame to be re-designed to cater for the additional weight. Of all the commonly used shingles, slate shingles have the longest lifespan of up to ten decades if they are installed correctly. Besides, they are crated with unique properties that can effectively withstand damage and water intrusion. Slate shingles can be obtained in color schemes of green, red, grey and black. Considering all these features, they are also quite costly and heavier. Metal shingles are also quite durable, with a life expectancy of up to 50 years. Those made from low galvanized metals are usually affordable and resistant to various forms of environmental and weather damage. Metal shingles can be obtained in either copper, zinc, tin or aluminum. They are ideal for use on flat and steep roofs but, can be very noisy when it’s raining. 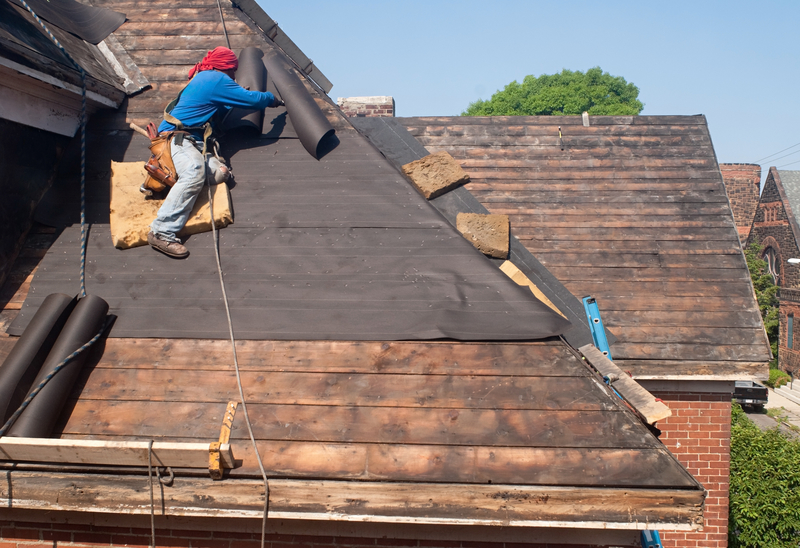 At Waterproofing Singapore, we can help you with the successful replacement of all the shingles discussed above. Even with the information given above, we understand that you may still have a few challenges here and there in choosing the right shingles for your property. Thus, we have a team of roofing specialist to properly guide you through the features and specs of each for the best decision making. Even after that, we will still go ahead to conduct the replacement to your expectations. Before we begin thee procedure of roof replacement, we will first visit your home or commercial property to inspect the roof. This is important in ensuring that we are able to provide custom roof replacement solutions. Depending on the condition of the roof, we will be able to prepare an accurate estimate for all the replacement procedures. In order to relieve our clients of financial burden, we always provide free site inspection and estimates for roof replacement. In case your roof has any signs of water intrusion or other forms of damage, we will ensure that all are properly fixed before the new roof is installed. For convenience, our company also offers roof repair services. Due to our expertise in roof repair, you may even find out that there is no need to replace the roof. In fact, there are several roofing problems that we can effectively fix without replacing the roof. But, we will always advise on the most appropriate solution for a strong, appealing and durable roof. Depending on the condition of the roof and your needs, we can make replacement for sections or the entire roof. In every procedure, we will always select the best quality roof shingles and materials for longevity. Our company can handle roof replacement projects for all residential and commercial building within the given deadlines. Even if you may need urgent roof replacement, our experts can sent to your service in the shortest time. By choosing our company for roof replacement, you are also guaranteed the most competitive rates in the industry. In fact, we can always prepare an estimate that perfectly complements your specific needs and budget. For the ultimate roof replacement solutions, talk to us.